Watercolor with Wonder, Whimsy & a Dash of Glitter. 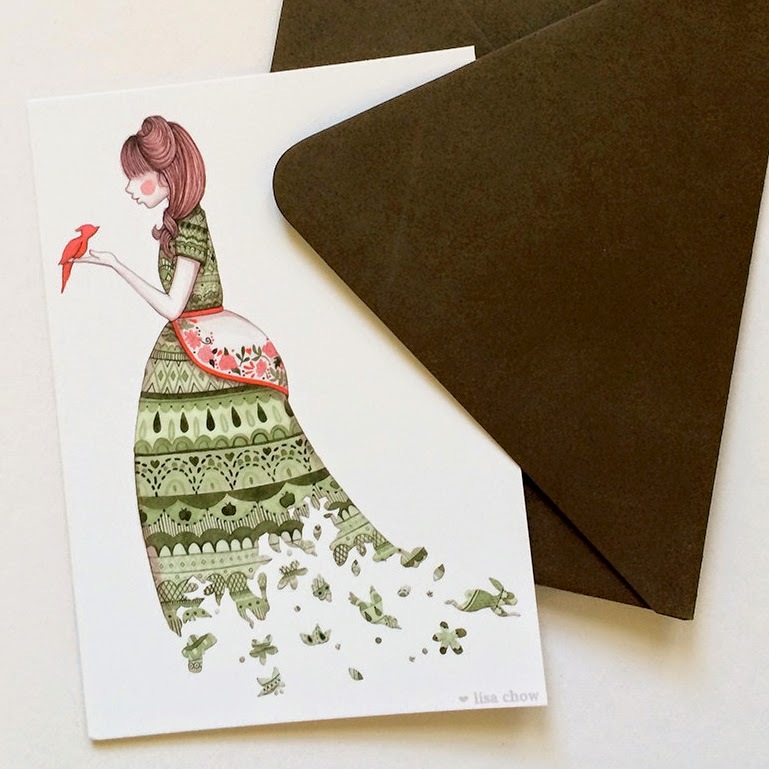 Playful Scenes on Paper Goods to Send, Share & Enjoy. The essence of Playful Art is work that makes you smile, whether it reminds you of your childhood or takes you and your imagination on an adventure. Artist Lisa Chow uses pretty pastels hues with simple line drawings and watercolor in a way that is perfect for conveying this type of heart warming nostalgia. Often featuring little girls floating through the air and personified animals at play, she has developed a characteristic style, patterns and color palete. 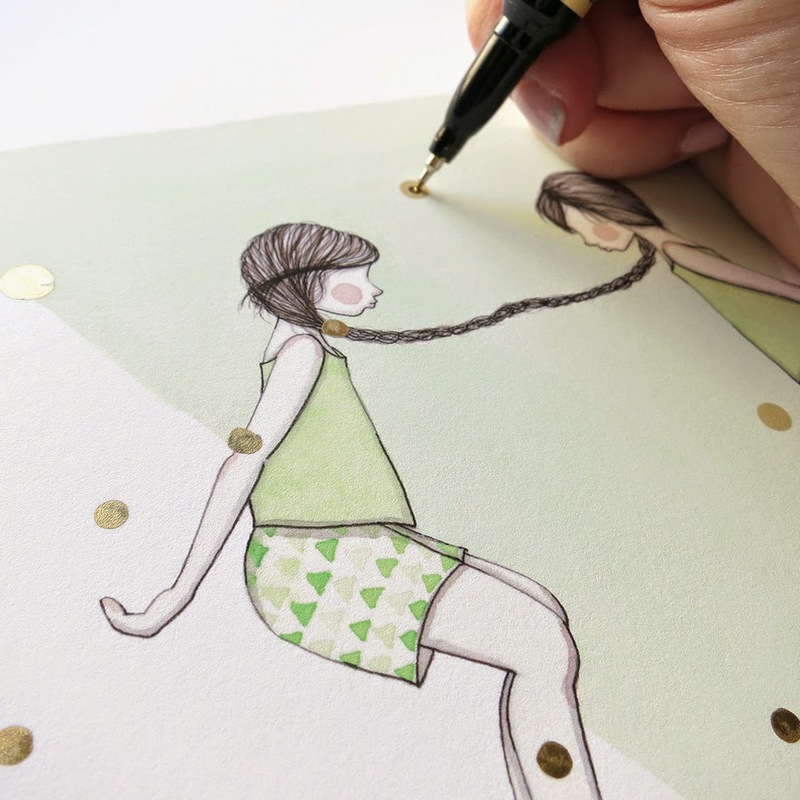 Much of her work is fun and girly with the occasional addition of gold ink or glitter, both of which make everything better! 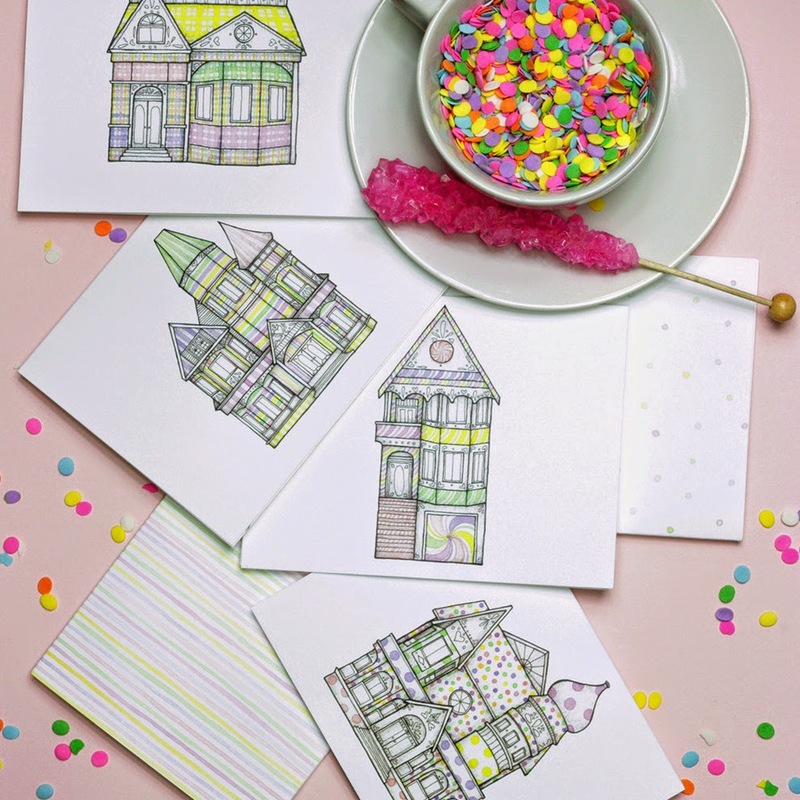 This self taught artist seeks inspiration in many different places on and offline, from fun fashion accessories to artfully arranged flowers to pretty and pleasing baked goods or candy. She then uses these finds to come up with new color combinations and subject matter for her work. One of her popular print collections features representations of astrological signs. 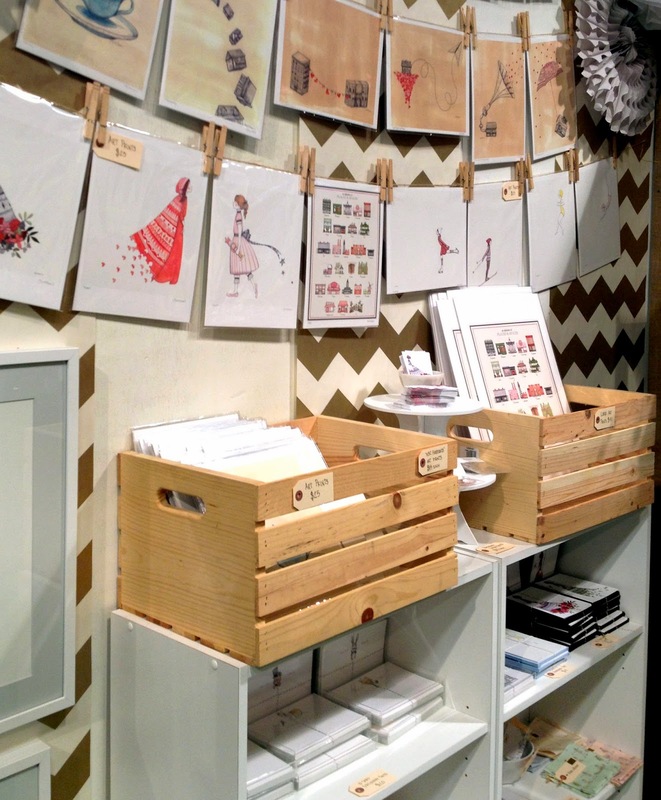 She also offers a range of other frame-worthy prints, paper cards and notebooks. And what a neat idea to create temporary tattoos from her illustrations! It's not hard to identify Lisa's work as she truly owns her style and technique.